Starting with Hydroponics is easier than it seems. You don't need to grow big or use expensive equipment to have a hydroponic garden of your own. 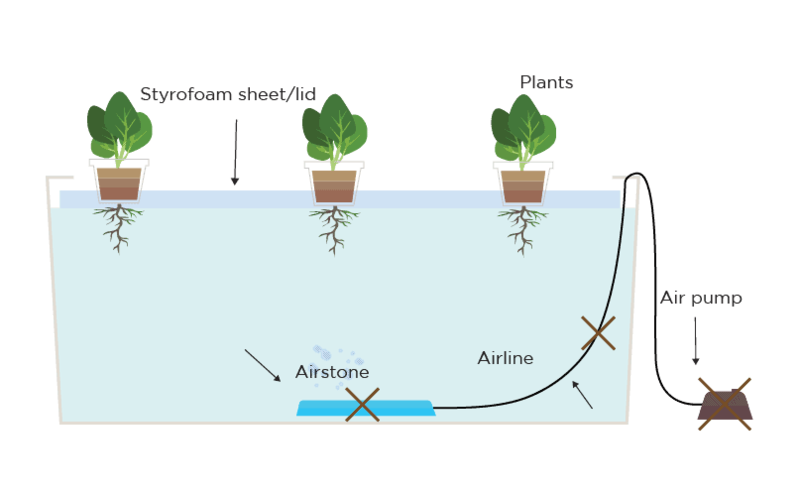 Today I'm going to share with you an incredibly exciting type of Hydroponic system. It is very easy to set up and use, and obviously a great starter for anyone new to Hydroponics. You'll also learn to build the system step-by-step with illustrating images. What is the Kratky Method? 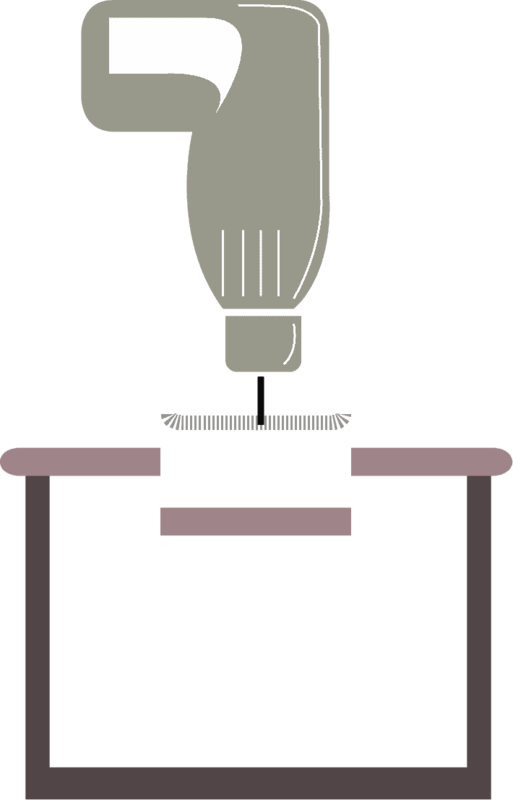 This method is discovered by B.A. Kratky from the University of Hawaii. In essence, Kratky can be seen as the Deep Water Culture, but without a pump. 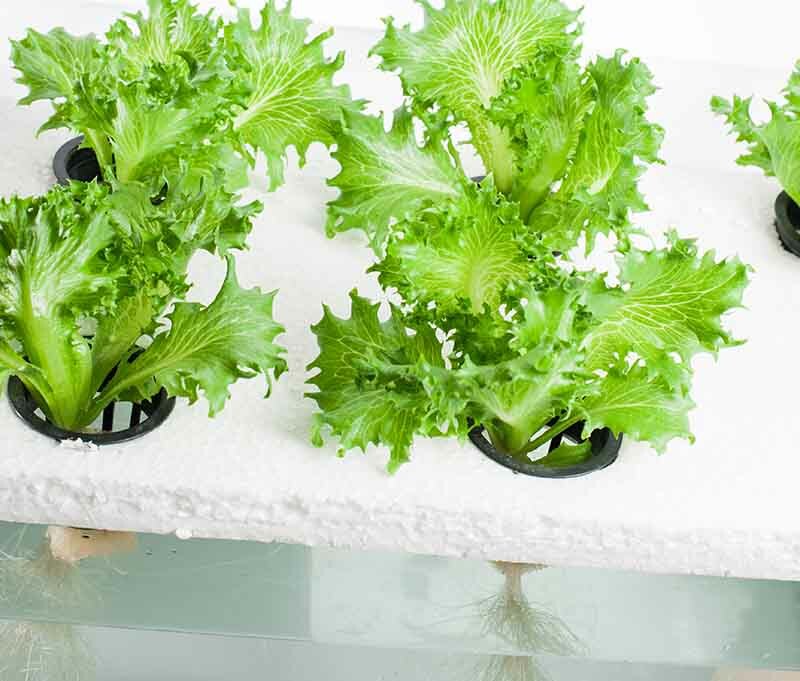 Though Deep Water Culture is a simple and easy-to-build technique among the 6 types of hydroponic systems, Kratky makes it easier and cheaper. That is because, with Kratky, growers don't need to buy the electronic devices and don't require the electricity to run. People say you can build a Kratky system and "set it and forget it". Plants are let to do their own things until harvest time. That's somewhat true. It is because Kratky is a completely passive system. There is no electricity used as well as no pumps and wick needed. Growers also don't have to change nutrients in the reservoir much often like other systems. So theoretically, Krafty is a low-maintenance system that can work on its own for weeks. basically plants require oxygen, moister, and lighting to survive. To reach its full potential growth, they will need macronutrients and micronutrients. Nutrients are added to the container/reservoir. 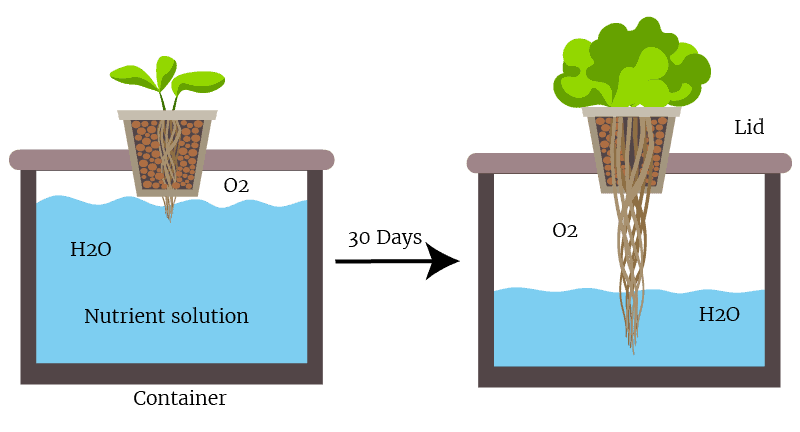 Plants are placed into a net pot with the growing media (like hydroton, rockwool,...) held by a lid, and hung above the water. Plants roots are partly submerged into the water and partly exposed to the air. People do that to ensure that plants can get moister as well as oxygen. 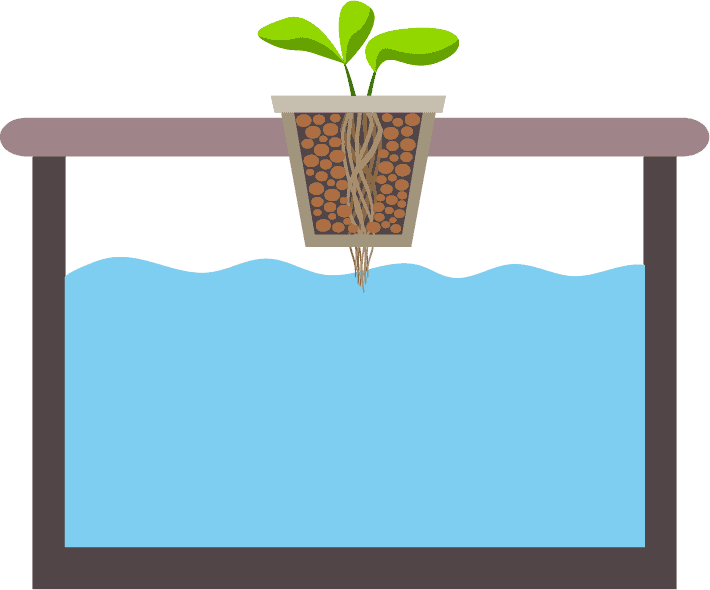 As the plants grow, the water level will decline as plants absorb the water in the system, leaving a gap of the roots exposing to the air. The "air gap" is essential because it is where the plants respire. So that means towards times, plants are still able to take up sufficient nutrient, water, and oxygen. For fast-growing vegs, when the water in the system is almost empty, your plants may have reached their harvest time. If you want to let the plants continue growing, you can add more water and nutrient solution, and recheck the pH level. A container/reservoir Depending on how large the plants and how big you want your Kratky system to be. A milk jar also works if the plants grown are small. We use a 5-gallon black bucket. A lid. A plastic one or even a styrofoam also work. The lid is very important. It keeps plants from pests and disease, prevents water in the container from vaporing. And most importantly, it supports the plants above the water. If your reservoir already has a lid, no need to get another. But if it doesn't, you must get one. Net pots. Again, choose the size you want. We use the 3-inch Hydrofarm Net Cup. Hydroponic nutrient. We use General Hydroponics Nutrient 3 part package. pH measurement tools. a pH meter helps check the pH level of your system. A pH control kit. You should occasionally use the pH kit to check the pH level of your system whether is too low or too high and adjust it accordingly. Here is the list of items we use for the system. Drill/cut the lid, creating a hole large enough to place and hold a net pot. 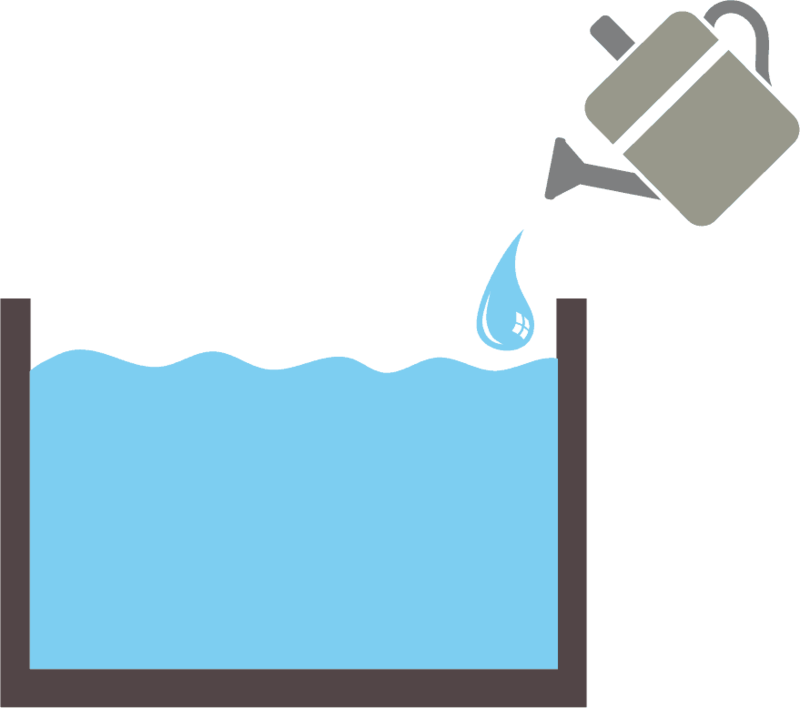 Fill the reservoir with water (distilled, or tap water is fine as long as it is not contaminated). 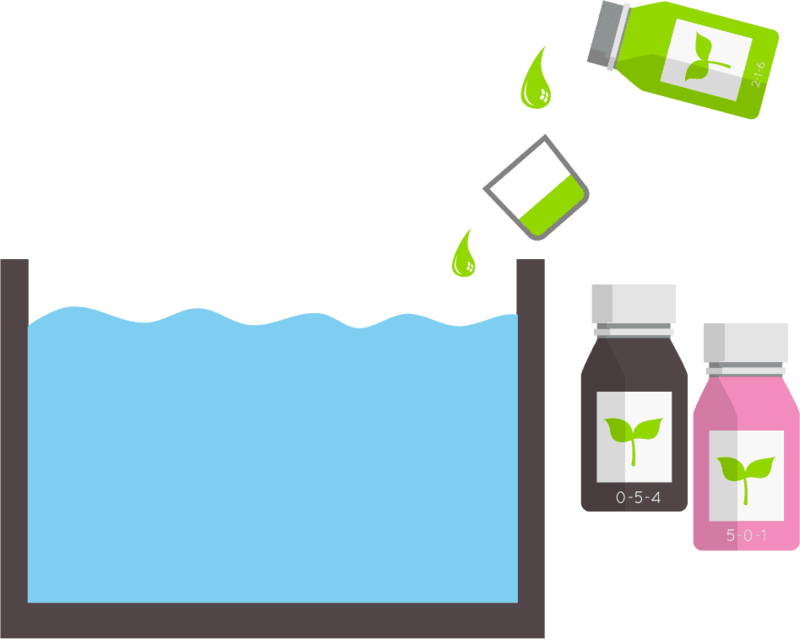 Add the Hydroponic nutrients at suggested amounts bottle by bottle. Stir after filling with the liquid from each Hydroponic bottle. Check the pH level of your solution with the pH meter. If it is within 5.5 - 6.5, the nutrient solution is right. 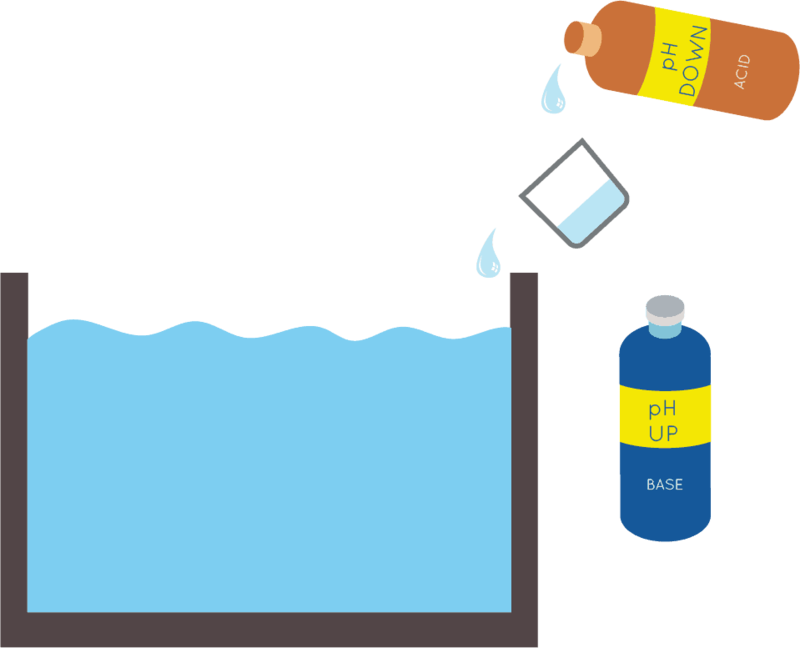 Adjust the pH level with the pH kit if it drifts out of the suggested number at between 5.5 to 6.5. Place the net pot with growing media, and plants onto the drilled lid. Keep parts of the roots hung freely in the air, and the other parts sunk into the nutrient solution. The Kratky works best with leafy greens, plants that enjoy a fast-growing rate. These include lettuces, spinaches, herbs. You can also grow larger plants like tomatoes or peppers, but you will need a larger container. And growing larger plants will need your more regular checking to ensure the water and nutrient level at 2-3 inches in order to give the roots access to water and oxygen as well. Namely the leafy green ones like lettuce, spinach. It's not efficient for fruits like tomatoes, peppers, cucumbers and other heavy large-space craving plants. If you want to have an efficient hydroponic garden that can surprise your friends, and provide some foods for your family, Kratky system can do well. But if you want to grow it big, or produce food on a larger scale, a recirculating and electricity-run method is more practical. Kratky is a passive system that runs quietly. That can be inviting for pests like mosquitos and others like crickets, spiders, grasshoppers. It's just a natural reaction, so be sure to expect and handle them. This is why the lid plays a crucial part. It helps protect the system from outside factors like pests, rainwater, temperature. Many people like to grow outdoors for the full sunlight. 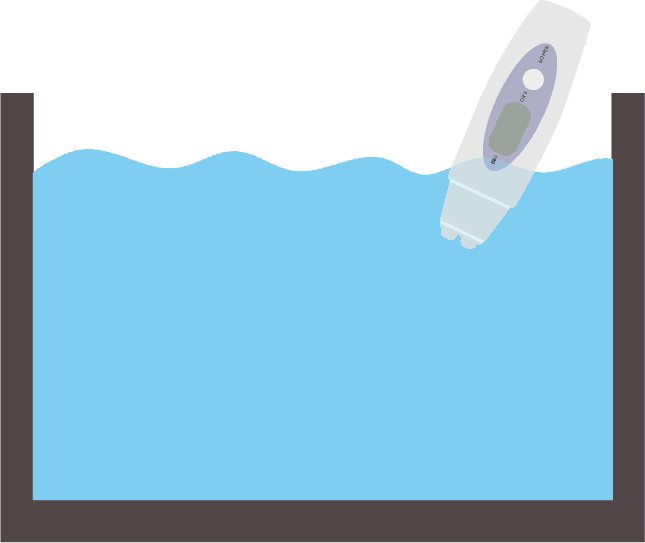 Make sure that rainwater does not enter the tank. Too much of it, and the water level of your system can increase and plants can get drown. Also, the pH level and ppm of your system may change subsequently. So get some sort of protection like a roof above the system. But mostly if your plants grow well, they can absorb and keep most of the rainwater from entering. For heavy rains, better to bring your system inside. In reality, Krafty is not completely hands-off. There are lots of variables that you need to be aware of. Using high-quality water, thoroughly mix the nutrient and keep the nutrient water's pH at an appropriate level for the initial set-up are very important. Otherwise, you need to check and adjust them regularly later. But it's better that you should occasionally check the pH level, the water level, and ppm to ensure plants' optimal growth. Temperature can also not be stable most of the time. So keep the system in the places where there is no rapid change of it. Have some ventilation methods in the hot summer weather does help. Even though you will need a pump and the electricity to run like in the Deep Water Culture, Kratky method proves that you can still grow plants (especially green vegs) well passively. The Kratky method is no doubt a simple and relaxing way to try with Hydroponics. If I were to recommend a simple easy-to-build system for beginners and kids, the Kratky system would definitely be one of them. Want to learn how to build the Kratky method the visual way? We have made a handy infographic here. If you find it useful, please share, tweet, and pin it to your friends. Thanks a lot! I am interested in trying the Kratky method, and I was wondering if using a larger container (20 gal) would enable me to grow heirloom tomatoes. From what I've read, it is the amount of water necessary to get a sufficient yield that is the issue, so I thought I would try the larger one. What do you think? Sure. You can go ahead with the 20-gal container. The larger container makes your Kratky system more passive. But be sure to have a proper pH and PPM level of your nutrient solution. It's nice to write you. pls. when the plant absorb solution the concentrate higher , is this bad for plants ,because i test that and my plants died , i used DWC and water surounded all roots ? A too concentrated nutrient solution is toxic to plants. I think you should get an EC/PPM meter to know the concentration of your solution. Different plants have various ppm levels. I wrote a post about it here. So make sure to adjust it to the appropriate level. Is it critical to use a dark container if you're growing indoors? I understand that you don't want algae to grow but what are the odds of algal spores getting in? Hi Quadrangle, not really. Actually, plants can still tolerate small amounts of algae; but lots of algae existing in the system are a big problem. I would strongly recommend using a dark container when grown with the passive Kratky. Algae likes warm temperature, moisture, nutrients, and light to grow. And among the factors said, preventing light from entering your growing system is the easiest and effective way to stop Algae. Can I take a plant already grown in dirt and transfer it to a Kratsky setup? I only transplanted seedlings from soil to Kratky and they all work well. But to answer if you can take an established plant from dirt to a Kratky system, I think you can. Remember to clean all the dirt from the roots before placing into the net pot covered with growing media, then putting into the system. Some plants will encounter transplant shock, and can even die but most of them will start to regrow their root structure. can you start your seeds w this method? let's say I used rockwool plugs in the net pot- how much water should be in contact with the pot? I haven't tried. But I think you can. Find this good video about germinating with Kratky Method here. Hello. Thank you great getting started tutorial. I am new to the plant growing at all. It going to be my first experiment. I would like to ask if I can use a plastic container? I am going to grow lettuces any ideas how big container must be to grow for example 10 heads of lettuces? The plastic container is okay. For 10 heads of lettuces, the container should not be less than 20 gallons.